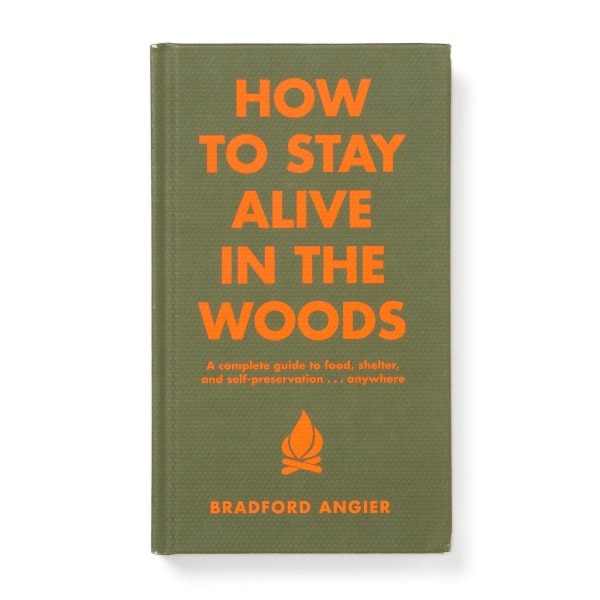 A manual for outdoor survival. Broken down into four sections: Sustenance, Warmth, Orientation and Safety. Teaches how to catch game without a gun, which plants to eat, how to build a warm shelter, make clothing, protect yourself, and signal for help.